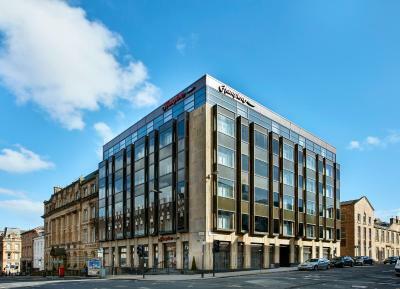 Lock in a great price for Hampton by Hilton Glasgow Central - rated 9.2 by recent guests. Found staff very friendly and room and bar area very nice. Lovely lady at the reception when I arrived! very helpful and explained where we could find parking. Clever marketing strategy requiring us to sign up to Hilton Honours to check in early. Normal sized room for the UK. Comfy bed and modern space. Good breakfast. 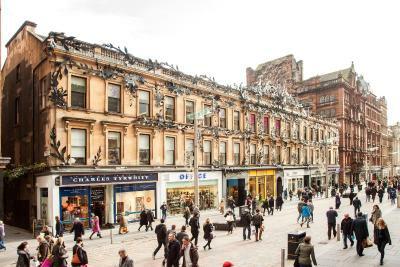 Perfectly central for 24 hours in Glasgow! Lovely hotel .Very convenient location . 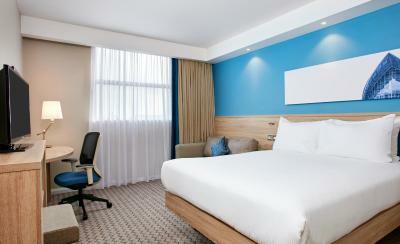 Great customer service , lovely air conditioned room very comfortable beds . Good selection of food at breakfast. 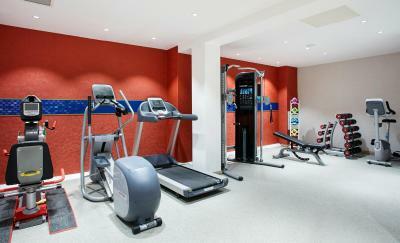 Excellent location, staff were first class, pleasant, helpful and nothing was a problem for them. Rooms were immaculate and breakfast was great, loads of choice. There is parking directly opposite the hotel too at a charge but the hotel offer a 20% discount voucher which is a nice touch. 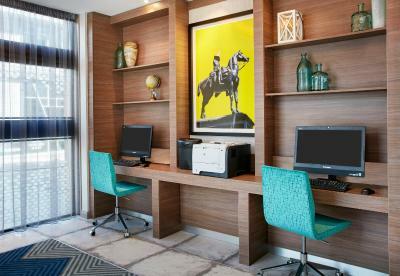 We were very happy with everything about the Hampton and would gladly recommend it to friends and family. 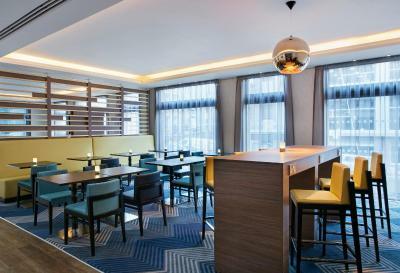 Boasting a 24-hour front desk with express check-in/check-out, a bar and a restaurant, Hampton by Hilton Glasgow Central also features a fitness center. 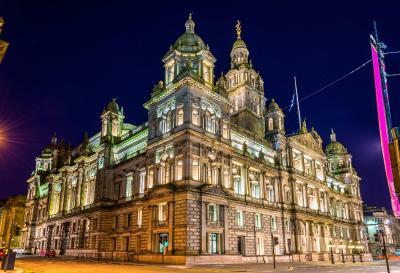 Centrally located, the hotel is a 6-minute walk from Glasgow Central Station and less than 9 miles from Glasgow Airport. Free WiFi access is available throughout. 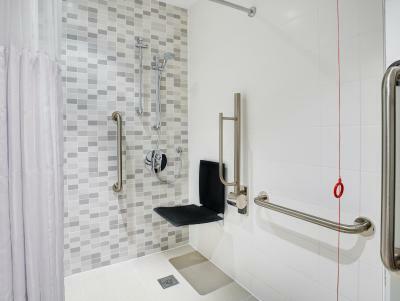 Each of the air-conditioned rooms feature a flat-screen TV, a laptop safe, a phone, an en-suite bathroom and a hairdryer. Ironing facilities and an electric kettle are also included. Guests can start their day with a hot breakfast. 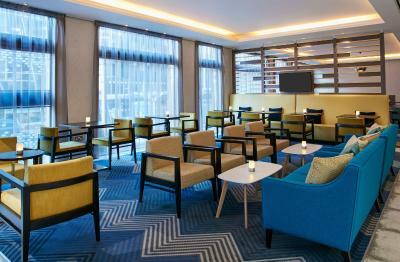 The lobby bar also offers a range of drink options, light meals and snacks. 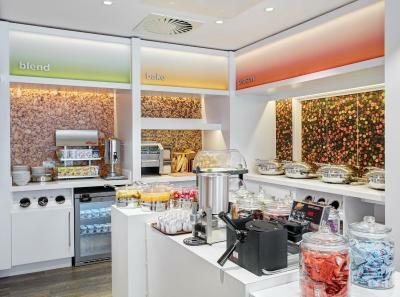 An on-the-go breakfast is available to guests in a hurry to explore. 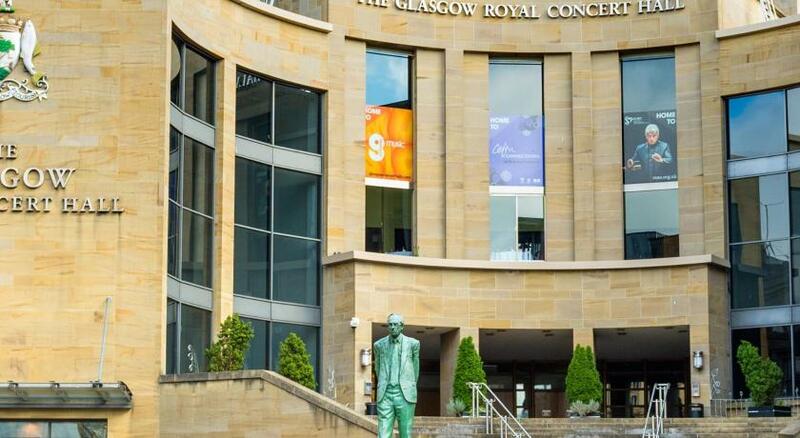 From the property, the SECC Glasgow is 1.4 miles away and Princes Square Shopping Centre is a 10-minute stroll away. 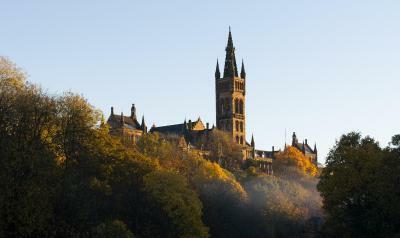 Hampden Park is 3 miles away and the University of Strathclyde is 13 minutes’ walk away. Hampton by Hilton Glasgow Central has been welcoming Booking.com guests since 15 Apr 2016. 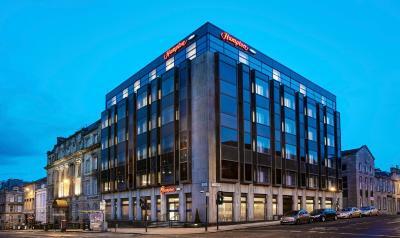 When would you like to stay at Hampton by Hilton Glasgow Central? 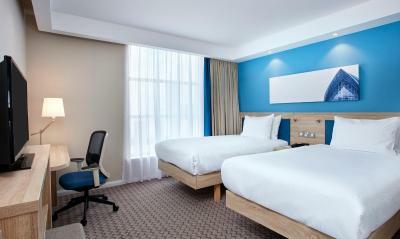 This double room has air conditioning and a flat-screen TV, a laptop safe, a phone, an en suite bathroom and a hairdryer. Ironing facilities and an electric kettle are also included. This double room features air conditioning and a flat-screen TV, a laptop safe, a phone, an en suite bathroom and a hairdryer. Ironing facilities and an electric kettle are also included. 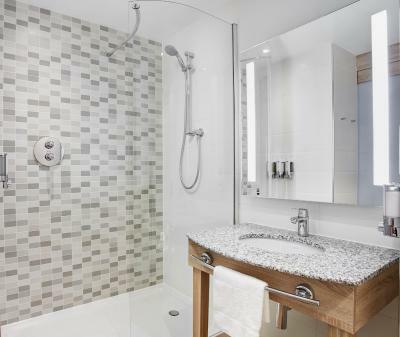 Free WiFi, a HD TV and an en-suite bathroom are featured in this room. A work desk, tea/coffee making facilities and an iron are also provided. 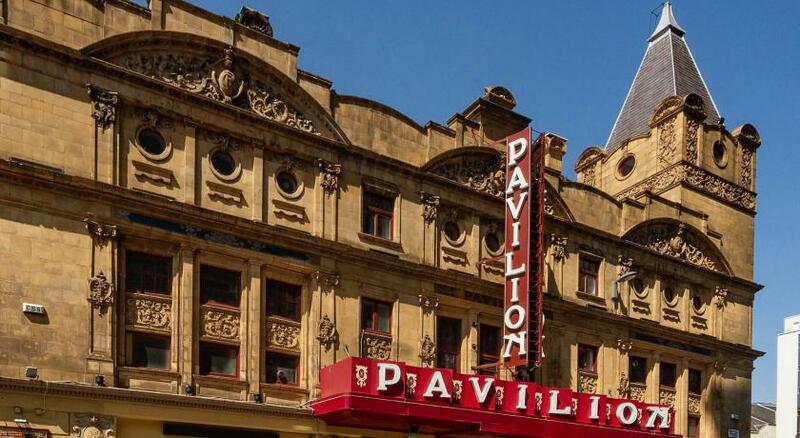 Our newly refurbished hotel is located on 140 West Campbell St in the heart of the City Centre. 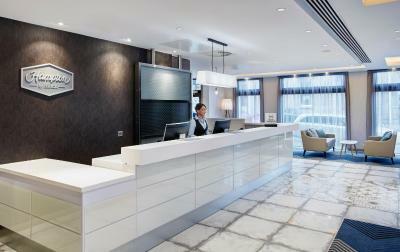 House rules Hampton by Hilton Glasgow Central takes special requests - add in the next step! 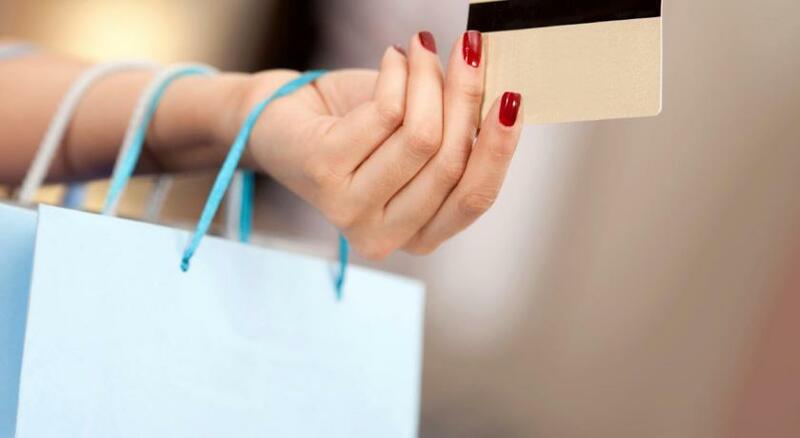 Hampton by Hilton Glasgow Central accepts these cards and reserves the right to temporarily hold an amount prior to arrival. I was asked if I was a Hilton Honor member in which I said no, the lady said she would set me up but still I've not received anything yet. Nothing not to like . Location and cleanliness of hotel generally. No faults. Couldn't find anything negative to say about it.